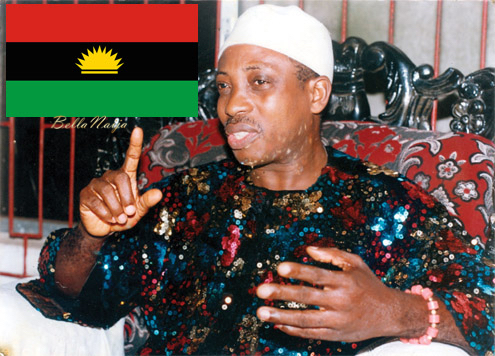 Despite President Buhari insisting Nigeria as a country is indivisible, MASSOB (The Movement of Actualisation of the Sovereign State of Biafra) leader Ralph Uwazuruike insisted yesterday he will be alive to see the realisation of Biafra, derided ‘Igbo elite’ and talked about Yoruba and Hausa-based political groups. 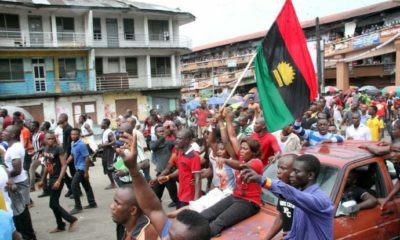 “The MASSOB leader, who spoke through the Deputy National Director for Information, Mazi Chris Mocha, weekend, at a special meeting of Enugu West Senatorial District, in Nachi, Udi Local Government Area of Enugu State, lamented that since Nigeria got her independence in 1960, it had never guaranteed security of lives and properties of Ndigbo, a situation, which he claimed, persuaded him to seek independence of Biafra. He frowned that some Igbo elite had become stooges to our oppressors, who often used them to do odd jobs and also sponsor them to make blatant comments to discredit Biafra in order to win contracts from their masters in Abuja. He regretted that such elite, because of the peanuts they were getting from the oppressors, would accept to sabotage the Biafra struggle without knowing how much MASSOB had laboured in the past 16 years, insisting that their plans were bound to fail. According to Uwazuruike, “ACF had asked Allah to give them Boko Haram, he gave to them and they became comfortable with its outcome. Afenifere elders had Oodua People’s Congress, OPC, fighting for social justice in Yoruba land. I hate it when people make misinformed statements. Opc fight for social justice Yoruba land. Since When? I remember when OPC sprung up, they were fast gaining grounds and doing a lot of nonsense. They had to be nipped because they were more harm than good . I think it was Tinubu/Obasanjo’s tenure. OPC members are predominantly night guards in some rural areas these days. It’s okay to be pro-biafra. Fight for what you believe in. Tell your own story however way you want it,but don’t tell other people’s story for them. So in conclusion. He is saying Probiafrans=BokoHaram=opc??? Thank you oh. OPC is an organization for glorified vigilantes , Afenifere is filled visionless and myopic clowns. They do not represent us at all. Which ACF asked for Boko Haram? Why are some people so daft? RIP in advance Sir! ANUOFIA! 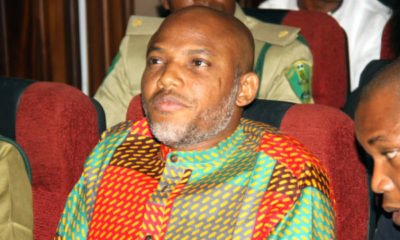 Biko, speak for biafra alone o. The more you try to speak for others, the more confused ad silly you sound! Am here just to read comments. God bless us all. Can he just die already if he wants to! Shey Osama is dead, didn’t life go on? These people should allow this Biafra matter. This is not what we need now. I don’t even know why they always resurrect this issue. This man that has been receiving and converting to his own use, donations from people in the diaspora made towards this cause and feeding them lies. Their followers have been so brainwashed and are just waiting for arms so they can unleash mayhem. I pray this whole thing dies a natural death. Yes is the talk they say to lead others to go and fight and die and they stay safe in hiding only to come back and marry most beautiful girl in Nigeria 2035. All i can see is his sequin top! why d F is he wearing? This needs to be nipped in the bud NOW. I don’t know who has jurisdiction over what but I know if FG looks into it some people will scream bigotry. Can the governor’s of igbo states look into this? Why do you just quickly die alone! Ha! Must people die along with you if you feel like dying? The guy is only looking for cheap popularity na. Oshisko rasko!!! Go and take care of your skin… it is so filthy and dirty. Tell me whose lives and properties security of has been guaranteed since Nigeria got independence in 1960? Everybody complains, but no one is asking to secede as a solution. Ada Nnewi has put it best. Our current political leaders are the likes of Ike Ekweremmadu, Rochas Okorocha, Anyim Pius Anyim, Sam Egwu and Ochendo Groba!!!!!! They’re already nothing to write home about, I’d have to be a major idiot to now go and swap them for Nnamdi Kanu and Ralph Uwazuruike. Abeg Oga Sir take advice from your own name and go and zuo Ike. I am 100% pro Nigeria but let’s tell ourselves the truth! The state of our union is far from perfect. Unless we seriously tweak some polices, we can’t move forward. 1. Why ask me about state of origin when I apply for a job am qualified for in my country? 2. Why do I have to loose my life and property simply because I live in a part of Nigeria, away from my ancestral home and no one says a thing, just as we are talking about IDP people? 3. Why quota system for university, lowering grades for groups perceived uneducated, but no extra employment for areas perceived very educated? 4. If there most be quota system, why not extend it to the highest office in the land, the office of the president? BTW the group perceived educational advantaged, should they not be the group producing more high ranking public officers? 5. What federal presence do we really have in the south East, with all the man power they have? These are some of issues that may be driving the Biafra agitation. Buhari, is not the cause. Some of these issues have been there over a long time. This movement, may not have just started. Recent Boko Haram issue may also be part of it. uwazuruike is a fool,didn’t want to die all this while,now he knows this Biafrans are seriouse he wants to die. Freudster like you,Abeg die make I hear word. 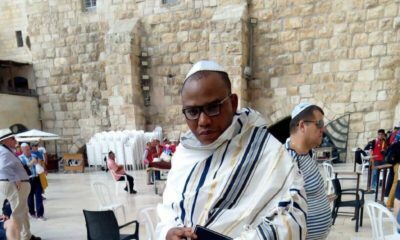 Okay, so now that this biafra thing is being compared to boko haram by their own ‘leader’, it only says one thing – Biafra is of no good to anyone! Please oga IPOB stop using igbo people as an excuse for your evil intent. If Ndigbo are angry at the state of affairs, as they should be (every average Nigerian probably is), let them follow the right channel to make their grievances known, not looking to use ignorant youths to perpetuate their devious intents. Cos i tell you, all these so-called ‘leaders’ of MOSSOB and IPOB are all about their selfish interests. And i am from one of the igbo states and i don’t really take for them. PS: your comment is just ret**ded, @sugar. PS: your comment is just re****ed, @sugar.